The prospect of fundraising can often seem daunting and a timely exercise in form filling. In today�s struggling economic climate, it is difficult to find the willingness to provide the essential funds necessary for community based projects. However, it is good to know that there are funding organisations for a wide range of such projects. One such body is Ibstock Cory Environmental Trust (ICET) and it is actively seeking applications, with priority going to those that benefit the whole community most. 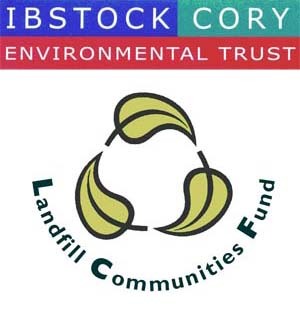 ICET is an organisation that funds projects through the Landfill Communities Fund (LCF). This fund gets its money from tax levied on the rubbish disposed of at all landfill sites managed by waste management company, Cory Environmental Limited. The LCF can be used for a wide variety of community projects and can be accessed through ICET, if your project is in the vicinity of one of Cory Environmental�s landfill sites. ICET can fund an entire project or contribute to the funding of larger ones, and the amount awarded to previous projects ranges from �2000 to �25,000. For many, this funding is the only means by which their projects could have happened. It is an essential and successful means of making community projects come to life. Established in February 2001, ICET was formed out of a strategic relationship between Ibstock Brick Limited and Cory Environmental Ltd. To date it has supported 200+ projects and funding totalling over �3 million has been approved. These are projects that really matter to people in the community. Time and time again, it has made an immense difference with improvements in facilities, services and buildings all being made possible through this �green tax� and its associated community funding scheme. There are many hundreds of projects who have benefited from an ICET grant. They are varied and colourful, covering a range of community needs. From adventure playgrounds to protected bat sanctuaries, church halls to spas suitable for use by those with special needs, the possibilities are endless. The Tombs and Memorials Conservation Project at St James Church, West Littleton is a first for ICET and is an exciting new venture into the world of restoration. A grade II listed building, St James has deteriorated over a number of years, and the preservation of its ancient wall memorials and chest tombs is now a priority. St James Church is easily accessible and open at all times to accommodate the local community members and hundreds of visitors who travel from miles around, each and every year. It is essential to keep this important collection preserved for the future and made safely accessible to all. ICET funding will ensure this. This project has stirred much interest from Marshfield Primary School, with its pupils eager to learn more and help out wherever possible. At this local school, they have outlined a project plan and hope to stir the enthusiasm of future historians; the Indiana Jones� of the next generation. The project will cover a range of themes and subjects to be included in the school�s Creative curriculum, all taught in a variety of interesting ways. It will bring the project at St James alive in their imagination and allow them the opportunity to feel a part of their heritage. The headteacher at Marshfield, Kay Pettifer, is delighted to have such an exciting opportunity. Along with all her staff, Kay is keen to get the school involved in the project as much as possible. Kay commented: �This will be such a great opportunity for the children to learn about the art, history and literacy of the times. It is an ideal setting for them, in this beautiful village, peaceful and safe.� Thanks to ICET, this project will extend further than the preservation of its 18C and 19C wall memorials and chest tombs. It will give the children of Marshfield insight into the past and an opportunity to delve into the way life use to be during Norman times. With a grant of �15,000 from ICET, the essential work needed to conserve these protected tombs and memorials is now secured, much to the relief of all those involved. This could be your project or your local Church, a park, a wildlife sanctuary � the possibilities are endless and with ICET funding available throughout the year, the opportunity to put these plans into action is not to be missed. ICET meets three times a year to assess projects that have been submitted and to approve project funding. Its newly published application form is designed to keep the application process simple and can be downloaded from Cory Environmental�s website (www.coryenvironmental.co.uk), or a copy can be posted by phoning Angela Haymonds on 01753 582513.